By now, we’ve all seen our fair share of “smoking kills” campaigns to remind us of the deadly consequences caused by that filthy drag. While we generally assume the chemical additives present in cigarettes are the main culprit to those surgeon general’s warning labels, it’s actually far more extensive than that. Fact is, combustion also plays a huge role in aiding the consequential effects of smoking. When you burn and inhale a material,(in this case, let’s say cigarettes), countless toxins are released during that simple lighting process. Even alternative smoking modalities like water pipes and organic rolling paper are responsible for delivering toxic smoke to the lungs, simply as a result of the toxins released during the combustion process. There is, however, a silver lining that allows consumers to enjoy their herbal blends, without the health risks linked to combustion. In recent years, vaporizers have become a widely popular option that enable consumers to reap the benefits of their preferred herb, sans the fear of looming health hazards. 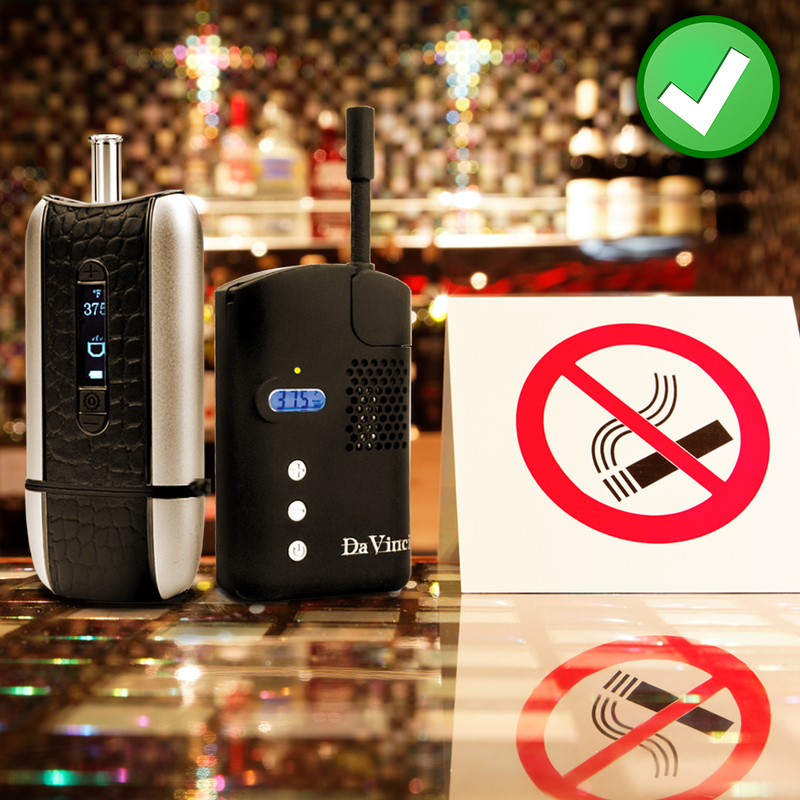 Vaporizers are a healthy alternative to smoking because there is no fire involved. So, how exactly do they work? The act of vaporization doesn’t rely on combustion to heat your herbal material. Instead, heat transference warms the plant at the perfect degree that stops short of combustion temperatures. Because combustion is avoided during this process, an estimated 95 percent of harmful smoke is filtered out from the vaping device; allowing you to breathe easy - and inhale without harm. Interested in learning more about the health perks of vaping? Refer to our featured infographic for even more reasons why you should make the vaporization switch.